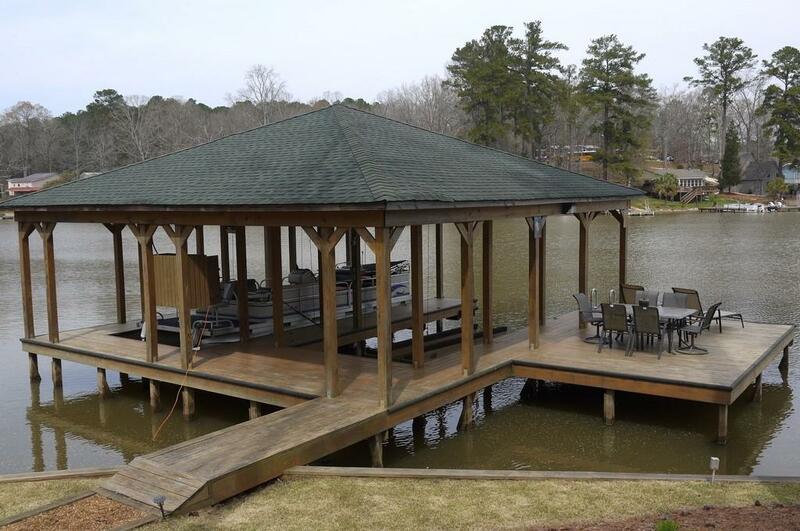 Enjoy the captivating view while you relax and entertain friends and family on the lake! 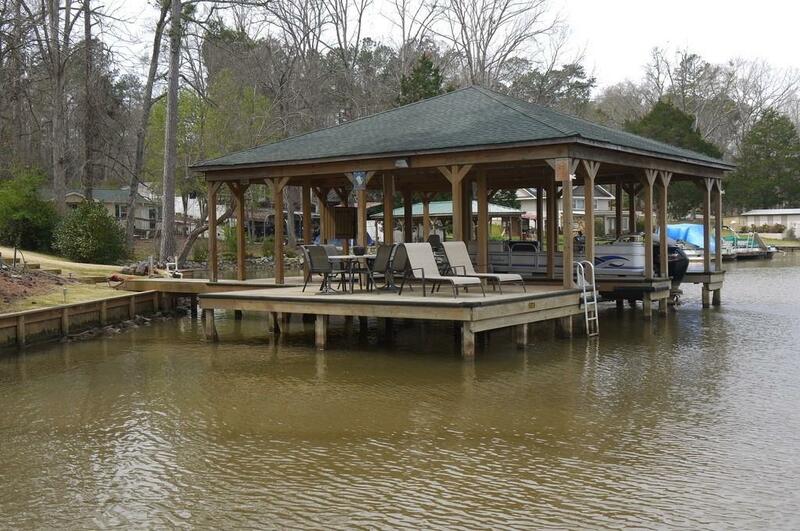 Covered 2 slip dock with boat lifts and swim platform. 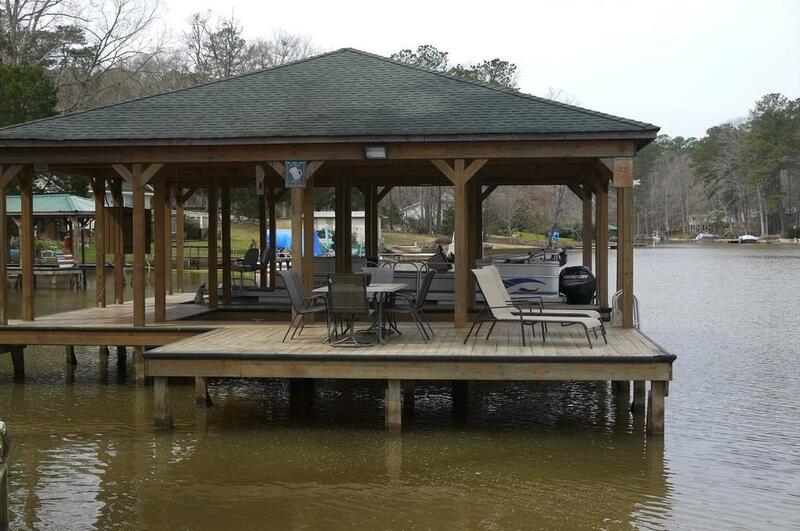 Home features hardwood floors, Gorgeous kitchen with butcher block counters, white cabinets and stainless appliances. Living room with fireplace and huge picture window for great view of the lake! 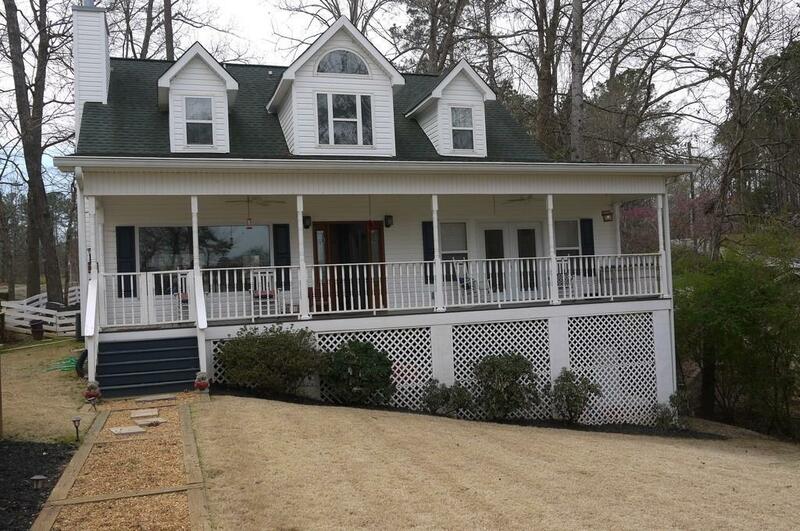 Master on main with gorgeous bath and French doors to covered porch. Upstairs 2 spacious bedrooms with large walk-in closets and full bath. Downstairs enjoy the bar, rec room and extra storage space. Huge patio. Deeded lot.